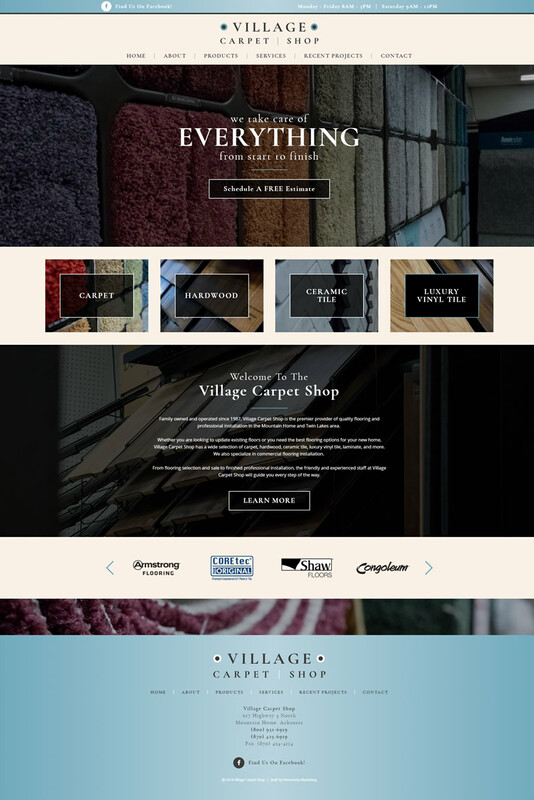 We collaborated with Village Carpet Shop to completely makeover their website. The new website is responsive and mobile-friendly. It features a fresh color scheme and a more modern logo. The homepage highlights products and the free estimate service with clear call-to-action buttons. The navigation menu is simple and makes searching for products and services easy. Individual product pages were also created in order to give visitors to the site more information about the products and show them what Village Carpet offers. The new site also features a blog. Family owned and operated since 1987, the Village Carpet Shop provides several flooring options to those living in the Mountain Home and Twin Lakes area. They carry a wide selection of carpet, hardwood, ceramic tile, luxury vinyl tile, laminate, and more. They also specialize in commercial flooring installation.